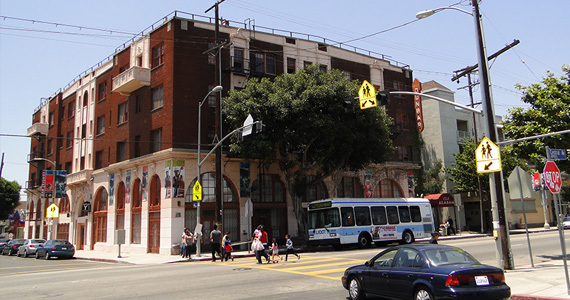 Redevelopment of the Dunbar Hotel in Los Angeles has aided in the reduction of crime in the surrounding area-improving public safety and reviving neighborhoods. Image courtesy of Creative Commons. On January 15, 2014, the Local Initiatives Support Corporation (LISC) and the Police Foundation hosted a symposium in New York City called “Safe Streets, Strong Communities” that explored how collaboration between the community and law enforcement agencies can improve public safety and wellness within communities, especially low-income distressed neighborhoods. The symposium’s participants included HUD Secretary Shaun Donovan, U.S. Attorney General Eric Holder, New York City Police Commissioner William Bratton, and other experts. LISC has been championing this collaborative strategy to address crime and revive poor neighborhoods for 20 years through its Community Safety Initiative. Launched in 1994, the initiative now operates in 45 cities nationwide, forging partnerships among police officers, residents, community developers, business owners, and other local partners to work collectively toward reducing crime and revitalizing decaying neighborhoods. Donovan and Holder highlighted the Obama administration’s commitment to developing comprehensive strategies for community development and public safety improvement in poverty-stricken communities through programs such as the Promise Zones initiative. Under this initiative, the federal government will provide assistance to and partner with community and business groups in economically hard-hit communities, including areas in San Antonio, Los Angeles, Philadelphia, Southeastern Kentucky, and the Choctaw Nation of Oklahoma, to increase economic activity, attract private investment, improve affordable housing, expand educational opportunities, and reduce crime. Redevelopment of the 28th Street YMCA in Los Angeles has helped improve safety in the area demonstrating how holistic community development efforts can help reduce crime and enhance community safety. Image courtesy of Creative Commons. Symposium presentations featured cities such as Los Angeles and Philadelphia that have successfully used community-police partnerships and community development as strategies to target crime hotspots. 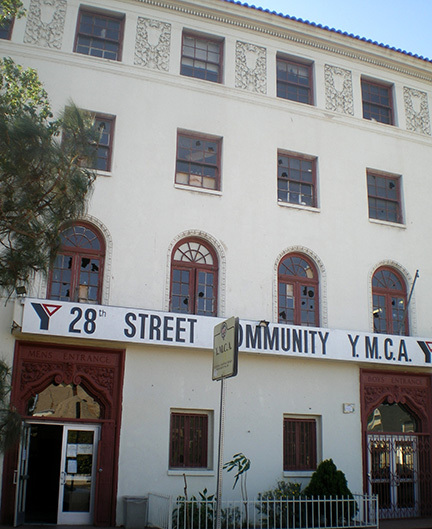 Mark Wilson, executive director of Los Angeles’ Coalition for Responsible Community Development, noted that in one densely populated Los Angeles neighborhood, redeveloping two deteriorated buildings, the Dunbar Hotel and the historic 28th Street YMCA, has helped improve safety in the entire area. In addition, joint efforts of Los Angeles’ police and the community have helped bring down the gang crime rate in the city by nearly 50 percent over the past 5 years. The success stories of cities such as Los Angeles, Philadelphia, and other target communities in LISC Community Safety Initiative have demonstrated that innovative community-police partnerships and holistic community development efforts can significantly reduce crime; enhance community safety; and replace troubled areas with quality affordable housing, businesses, and parks that positively transform neighborhoods.